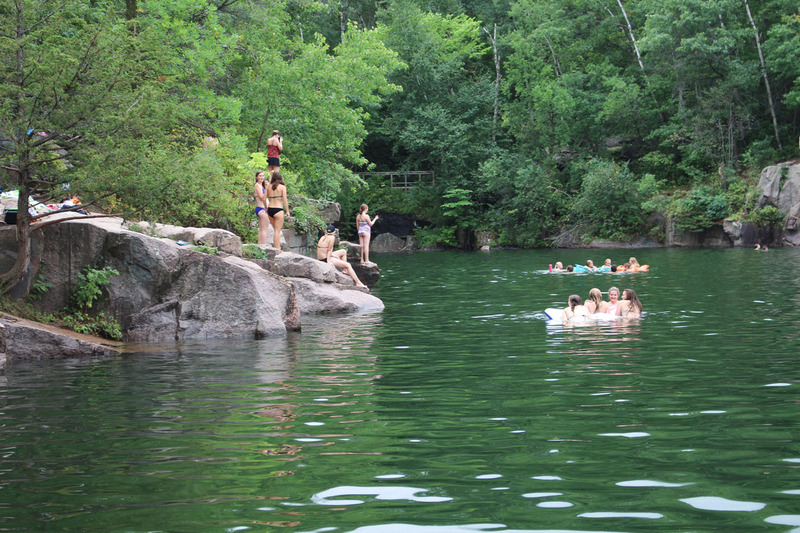 The billion-year old granite formations rise high above the cool, deep water at Quarry No. 2 in Quarry Park and Nature Preserve. Here, the water plunges 116 feet below the surface – just right for the adventurous thrill seekers jumping from the 10- to 24-foot red granite cliffs. In warm weather, hundreds of visitors flock to the 684-acre Quarry Park and Nature Preserve every day during peak weeks to enjoy the beauty and respite found inside the park, located just outside St. Cloud, Minnesota, in Waite Park. 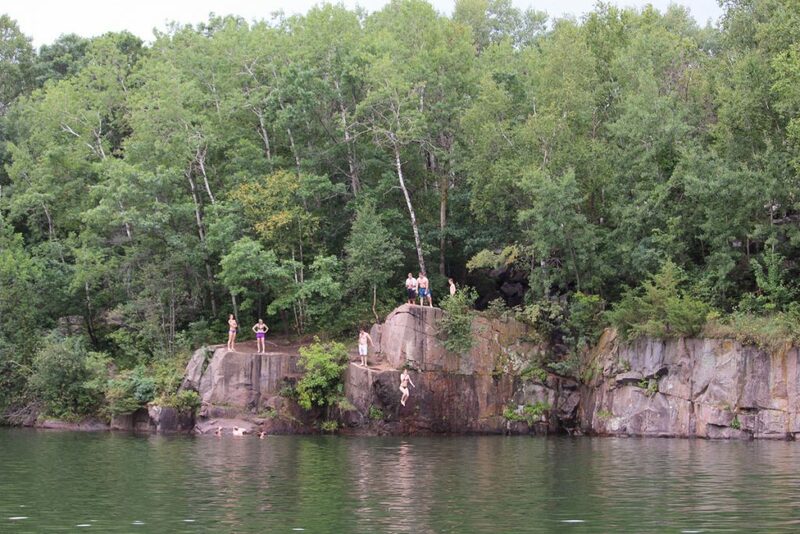 While cliff jumping is popular at Quarry No. 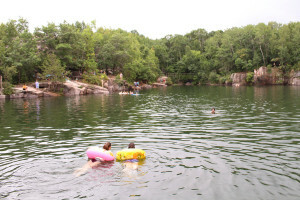 2, many visitors enjoy the sandy beach at Quarry No. 11, where the water reaches a depth of 40 feet. Other guests seek the park’s opportunities for rock climbing, picnicking, hiking, trout fishing, mountain biking and scuba diving. After the first snowfall, Quarry Park and Nature Preserve becomes a haven for enthusiasts of cross country skiing and snowshoeing. 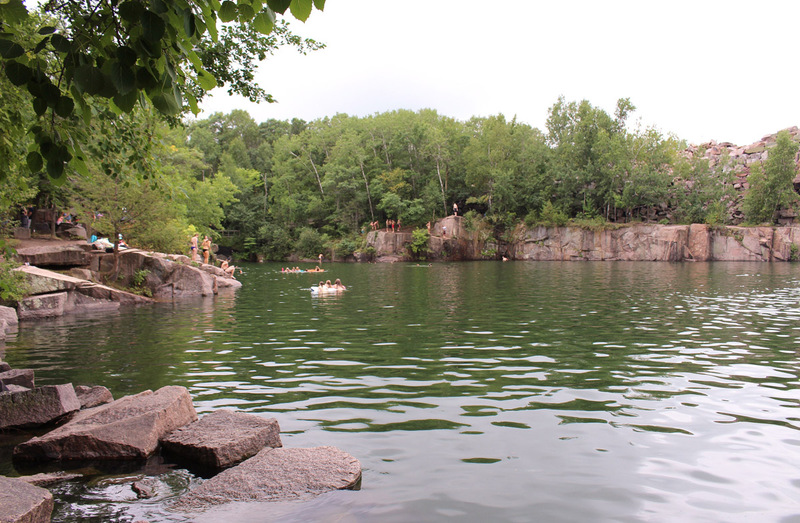 Established in 1992, Quarry Park and Nature Preserve is one of the finest examples of quarry reclamation in recent years, demonstrating the creative possibilities that exist for quarries after their active use has ended. 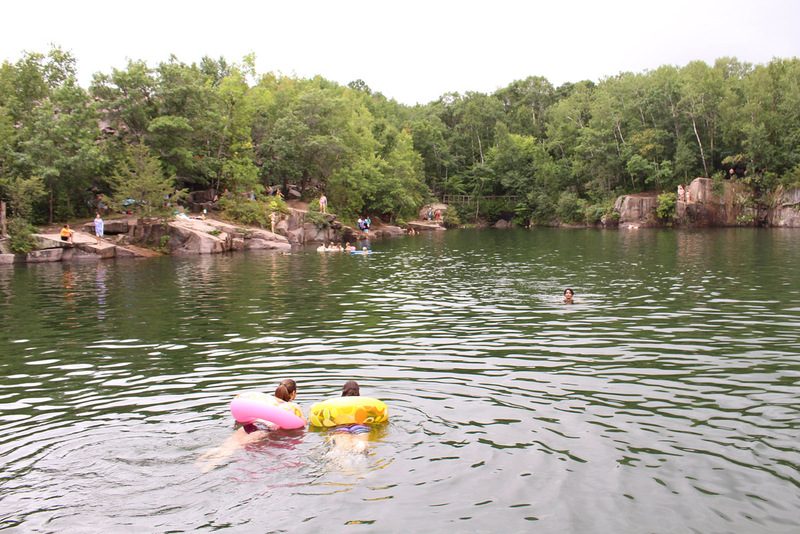 For responsible quarry owners, exploring options such as turning a dormant quarry into a park or a prime swimming destination is a necessity – not an option. The stone industry now has a sustainable stone certification program, and quarry reclamation plans are required to maintain certification. As good stewards of the land, many companies in the stone industry have followed the practice for years. Now, these companies are distinguished for their efforts the through certification program. 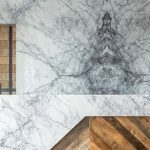 The purpose of the sustainability standard, known as ANSI/NSC 373 Sustainable Production of Natural Dimension Stone, is to recognize and reward sustainable practices in the natural stone industry – practices that many in the industry already abide by but hadn’t previously had third-party verification. The voluntary standard gives quarriers and processors the ability to certify their operations as sustainable. 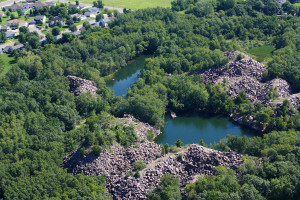 Quarry reclamation plans are an important part in the designation of stone companies that demonstrate environmental leadership. 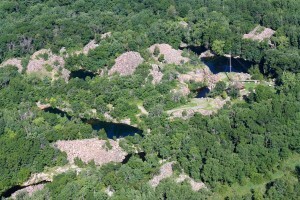 What’s more, the awareness that ANSI/NSC 373 will bring to the importance of quarry reclamation plans will only stimulate more creative uses for former quarries, such as the site upon which Quarry Park and Nature Preserve was built – a site that has played an important part in Central Minnesota’s history. Central Minnesota has long been known for its high concentration of granite. 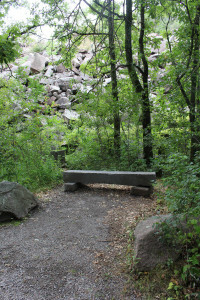 Prior to the 1960s, the quarries which now comprise Quarry Park and Nature Preserve were actively in use, and their abundant granite supplies were in high demand across the country and around the globe. 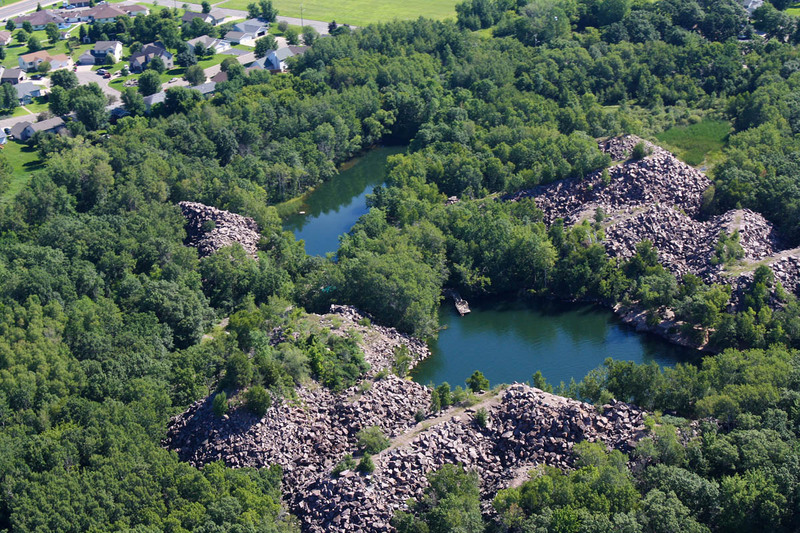 As the area’s granite provided building materials for projects, the quarrying industry itself provided economic benefit and jobs in central Minnesota. 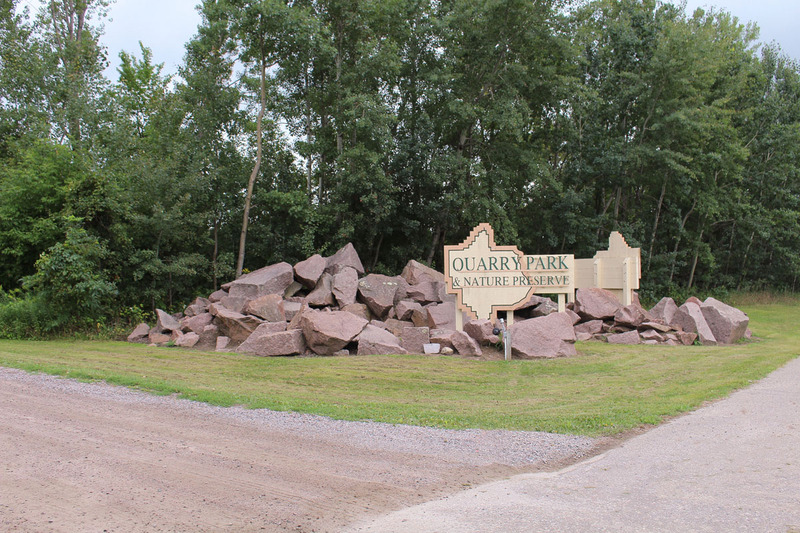 From the 1880s to the 1960s, several stone companies operated quarries in present-day Quarry Park, which was known for many years as Hundred Acres Quarry. Several small companies owned property in the area, and several properties were family owned and actively quarried for commercial sale. In 1959, Coldspring purchased Melrose Manufacturing Co., including the property known as Hundred Acres Quarry. In 1990, Coldspring put the land up for sale. 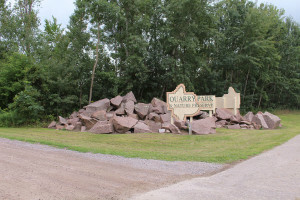 Mark Sakry, former Stearns County Commissioner, and Chuck Wocken, former Director of Stearns County Park, were instrumental in obtaining the land that would become the future Quarry Park and Nature Preserve. These visionary leaders imagined a place where outdoor lovers from far and wide could enjoy the benefits the quarry had left behind. 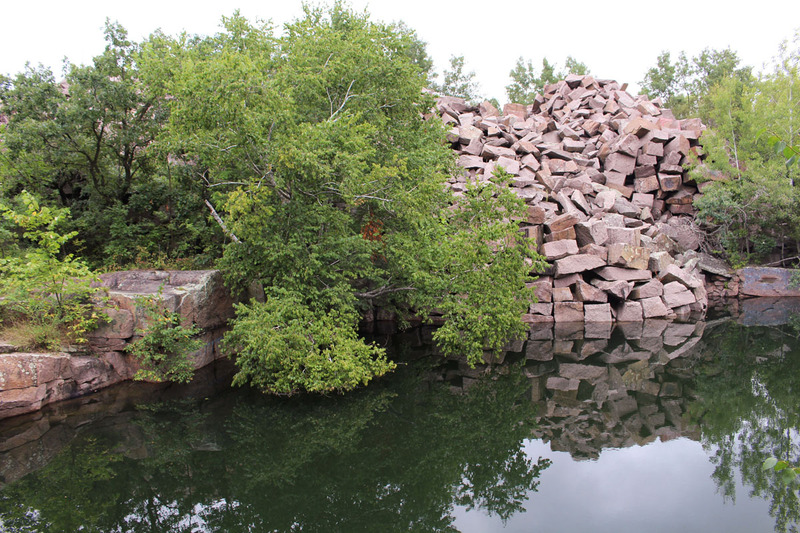 Stearns County presented a plan for a future park at the quarry site to Coldspring, which greatly interested the company. Coldspring took the property off the market and held it until Stearns County received approval for the purchase. Coldspring sold the 220-acre site to Stearns County in 1992. The final decision to convert the land to public use proved fruitful, as Quarry Park and Nature Preserve is now one of the area’s most popular destinations. Last summer, the park surveyed guests who purchased parking passes in the months of July and August and found that in July of 2015, 70 percent of the vehicles came from counties other than Stearns, and in August of 2015 the figure increased to 75 percent. Quarry Park demonstrates just one creative post-quarry use. Certainly, there’s no typical path a stone company might follow when developing a reclamation plan. Many factors must be considered, such as the quarry’s location and climate as well as the community’s needs. Regardless, creativity upon the part of the decision makers and community leaders should be an important part of the process. One doesn’t have to look far to find examples of creative quarry reclamation. 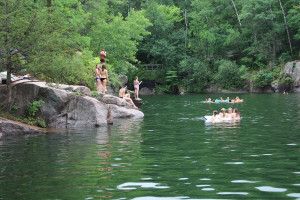 Brownstone Park in Portland, Conn., is a privately owned adventure park featuring zip-lining, cliff jumping and wakeboarding. The park has been a success, offering recreation as well as employment opportunities in the community. In San Diego, Calif., the Civita project is an example of a former quarry currently being converted to a mixed-use housing development. Construction is expected to continue through 2025, but upon completion the project will offer parks, multi-family housing units, shops and commercial office space. As creative options are explored, companies can look to the stone certification for guidance. ANSI/NSC 373 outlines that post-closure reclamation plans for all certified quarries should include proposals for site cleanup, infrastructure renewal, site safety, ecosystem restoration, among others. When developing a reclamation plan, stone companies are urged to work with the original land owners or local community. Understanding the area’s needs will help determine what reclamation solution is best. 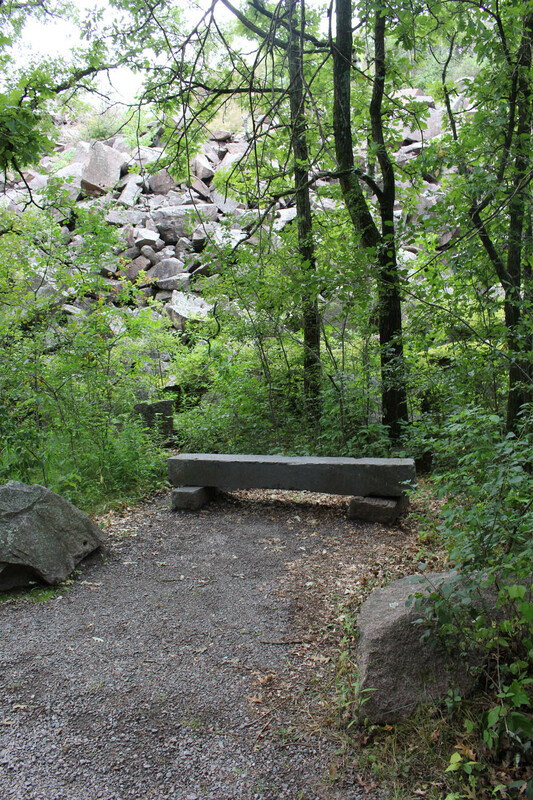 At Quarry Park and Nature Preserve, the reclamation path depended upon close coordination with the existing land owner and county officials. Today, the park offers a bright light in the stone industry of what can come from a dormant quarry. 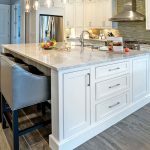 Since 1898, Coldspring has served the architectural, memorial, residential and industrial markets with all types of natural stone, bronze, and industrial and diamond-tooling products. With corporate headquarters, primary manufacturing facilities and a bronze foundry in Cold Spring, Minn., the company has 900 employees at operations across the country, including 30 quarries and four additional fabrication facilities. In 2016, the company’s headquarters and primary manufacturing operations and three Minnesota-based quarries received ANSI/NSC 373 Sustainable Production of Natural Dimension Stone certification. Coldspring’s in-house services and technical support such as drafting, design, BIM, and project and construction management contribute to creating unique customer solutions. To learn more about Coldspring, visit www.coldspringusa.com. 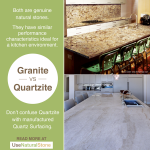 The definitive guide to a commonly mislabeled natural stone, quartzite.